To visit the chronological video archive of LSP Retirement Board Meetings, CLICK HERE. ACT I: Play credits (Aswell, Forgotston); Quick Overview of "Edmonson Amendment;" Video of Haphazard House Passage. ACT II: Aswell breaks scandal; LSPRB meeting of 7/16/14 videotaped, drawing the ire of LSP Capt. Jason Starnes. ACT III: Edmonson defends legislation on Jim Engster show; John Bel Edwards comments on his calls for an investigation; Robert Burns, via FOIA, uncovers and assesses declining financial health of LSP retirement system. ACT IV: LSPRB Member (and LA Treasurer) John Kennedy outlines what he wants answered in an investigation; Edmonson declares "I won't accept increased benefit;" Fox 8 in New Orleans conducts several investigative television reports. ACT V: LSP retiree letters to public, LSPRB, and Col. Edmonson directly; Forgotston states no meeting to discuss constitutionality is EVER going to be convened and provides names of the "gang of five" LSPRB members and their email addresses whom he says are blocking such a discussion for the public to make their sentiments known. INTERMISSION: 15-second appeal by C. B . Forgotston aired on Moon Griffon Show beginning on Friday, August 22, 2014. ACT VI: OUTSTANDING post by Aswell reveals rank cronyism within LSP ranks; new LSP theme song advanced as a result of Aswell's findings; LSP retirees enhance LSP new theme song with animation; Aswell's findings make it clear (as outlined by Burns) why LSPRB members would NOT vote to litigate the Edmonson Amendment. ACT VII: Aswell reveals why The Advocate may be inclined to play softball with the Edmonson Amendment and MORE CRONYISM entailing Sen. John Alario's daughter-in-law; Forgotston reveals LSP Executive Director Irwin Felps, Jr. refusing to release copy of attorney report to LSPRB Member (and Louisiana Treasurer) John Kennedy; Kennedy makes formal FOIA for same. ACT VIII: Felps immediately caves and provides Kennedy with report; report highlights outlined; even Edmonson says to LSPRB "take whatever steps necessary to have Act 859 declared unconstitutional;" Gov. 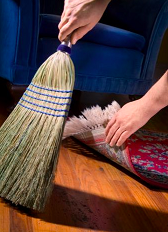 Jindal subsequently pours cold water on Edmonson's directive and says, "let Legislature clean up its own mess." ACT IX: Gov. 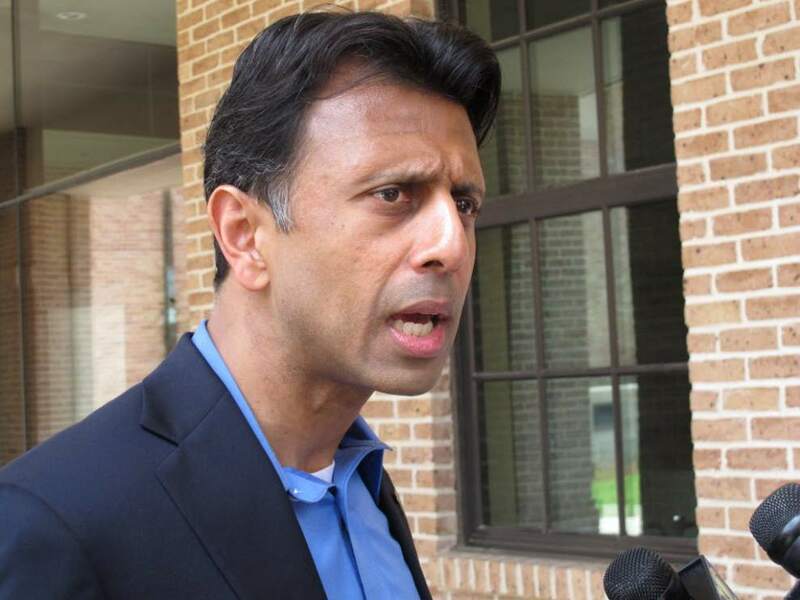 Jindal makes FIRST public comments on whole scandal; Burns provides analysis of Jindal's public comments. ACT X: Burns drafts letter to FBI in New Orleans (and copies U. S. Attorney's Office) seeking criminal investigation to lead to indictments and encourages others to do the same. ACT XI: Forgotston reveals yet more LSP cronyism (a/k/a the "LSP 49-5 Club"), along with a KTBS (Channel 3 - Shreveport) investigative report on Edmonson's housing perks as well as the amendment flap. Forgotston also provides allegations of "DPS Undersecretary and Dork Dynasty Member" Jill Boudreaux having violated the law regarding the purchasing of furnishings for Col Edmonson's residence. Tom Aswell then chimes in on a blatant abuse by Boudreaux entailing a "layoff avoidance incentive" which she advanced, only to then violate a Louisiana Civil Service directive prohibiting a "retire-rehire" situation which circumvented the intended savings (and actually even added more costs!). Then-Commissioner of Administration Angele' Davis vehemently protested but to no avail under a corrupt Jindal administration. Finally, Act XI closes with Mr. Aswell revealing Col. Edmonson's malice toward LSP Trooper Jason LaMarca in defying the findings of the LSP Commission and even the Louisiana First Circuit Court of Appeals. 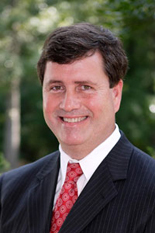 ACT XII: Louisiana State Senator Dan Claitor, R-Baton Rouge and candidate for Congress from Louisiana 6th Congressional District, agrees to be interviewed by Louisiana Voice reporter Robert Burns on the Edmonson Amendment. Reports swirl that LSPRB Member Charles Dupuy refers to C. B. Forgotston and Tom Aswell as "idiots" and "assholes." LSPRB issues highly restrictive (and illegal) "rules" for public comment, thereby drawing a firestorm of pushback from prominent elected officials, the LSP retirees, and the public at large. ACT XIII: LSPRB purportedly makes statements that "rules" issued last week were mere "suggestions." Burns provides sticky-note commentary to the PDF file of such rules suggesting otherwise! C. B. Forgotston offers an advanced analysis of his expected vote breakdown for the meeting. 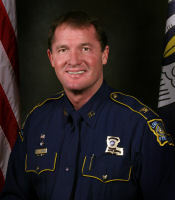 ACT XIV: Tom Aswell extensively expands the nepotism of Louisiana State Police. Burns avails himself of the opportunity to editorialize on some of Mr. Aswell's findings in terms of the adverse impacts on the Unfunded Accrued Liability (UAL) and why the type of waste and abuse Mr. Aswell provided prompts so many taxpayers to say, "no more taxes!" and feel completely justified in doing so. ACT XV: The long-awaited LSPRB meeting of September 4, 2014 transpires. It concludes with State Sen. Dan Claitor, R-Baton Rouge (and candidate for the 6th Congressional District in Louisiana) filing suit against the LSPRB along with Board Member (and State Treasurer) John Kennedy saying that he too will file suit (individually, and cover the filing costs personally) against the LSPRB, and the Board voted unanimously that it would not defend any such suit and merely agree to a judgment declaring the law unconstitutional. ACT XVI: Burns drafts follow-up letter to FBI in New Orleans (and copies U. S. Attorney's Office, original letter sent in Act X) seeking criminal investigation to lead to indictments resulting from the Edmonson Amendment and the revelations of reckless malfeasance in office regarding the LSP's payroll practices outlined in Act XIV. He invites others who are so inclined to do the same. ACT XVII: Judge Clark declares Edmonson Amendment "unconstitutional on its face" in the first and only hearing of Sen. Dan Claitor's lawsuit. ACT XVIII: Edmonson crams 30 - 40% pay raises for LSP troopers through the Louisiana Legislature. He openly touts that the $11 million price tag for the raises "won't cost taxpayers a dime." Edmonson asserts the raises can be funded via LSP issuing fines to uninsured motorists. In late Summer of 2015, LSP, at an estimated cost of $550,000, began issuing such fines. Many were erroneous and, of the legitimate ones, only a pittance was collected because the drivers could afford the fines any more than they could afford the insurance (i.e. inability to squeeze blood out of a turnip). Burns attends the next annual LSPRB meeting at which the long-term cost to the Unfunded Accrued Liability is posed as a question by Burns to actuary Charles Hall. Mr. Hall, though obviously camera-shy, did provide an estimate of the impact: $47 million! 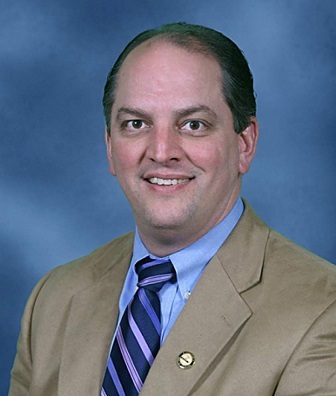 Meanwhile, Gubernatorial candidate John Bel Edwards who, as evidenced in Act III, resoundingly criticized Jindal over the Edmonson fiasco, reportedly agreed to retain Edmonson as LSP Colonel because it was an adamant condition of the Louisiana Sheriff's Association for their own endorsement of Edwards. Meanwhile, a feature article breaks in The Hayride outlining that the LSP Board crammed down its own endorsement of Edwards without consulting the membership or permitting members to weigh in on the unprecedented action.